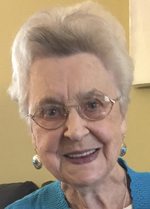 Dupuis, Dorothy Frances – It is with great sadness that the family of Dorothy Frances Dupuis, age 90 of Truro, NS announce her passing on July 23, 2018 at Colchester East Hants Health Centre, Truro, NS after a brief illness. Born in Amherst, she was a daughter of the late Courtney and Jennie Mae (Gould) Cole. Dorothy was a caring and generous mother to her children, Gary (Carolyn) and Trudy (Perry) Shea both of Truro; grandmother to Megan (Graham) MacDonald or Calgary, AB, Ben (Tara) Dupuis of Halifax, Courtenaye (Brett) McInnis of Halifax and Kyle Shea of Truro; great grandmother to Ella, Logan and Endeavour; special “nanny” to Dawn MacPhee (Gideon) of Spain, Angela (Charles) Morash and Scott MacPhee of Halifax and April MacPhee (Dan) of Summerside, PEI and a special friend to Vonda MacPhee. She is survived by brother Walter Cole of Amherst, and was predeceased by sisters Shirley, Sarah and Hazel, brother Daniel and daughter in law, Deborah Dupuis. Dorothy loved spending time with her “babies” and when her mobility was compromised in her later years, she spent countless hours poring over their most recent pictures on her iPad. She had a passion for quilting and was actively crafting beautiful quilts up until the time of her passing. She also enjoyed playing cards with her friends and relished her wins when playing with her daughter, Trudy. A celebration of Dorothy’s life will be held on Thursday, August 9, 2018 from 1 – 4 p.m. in Colchester Community Funeral Home, 512 Willow St., Truro. Family flowers only please. Memorial donations in her memory may be made to Colchester East Hants Hospice Society (902-893-3265 or www.cehhospice.org) or to a charity of choice.